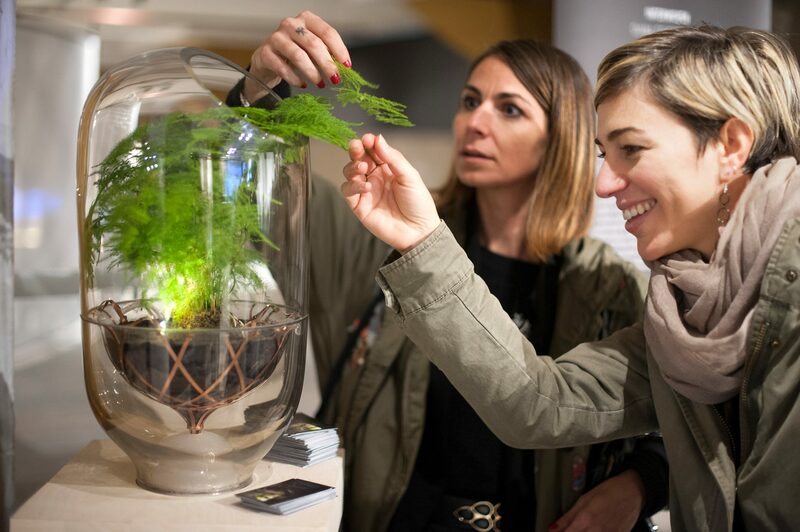 With the need for finding alternate systems of building and living becoming more urgent, Dutch designer Ermi van Oers might have found an answer – a lamp that uses a living plant to generate its own electricity. 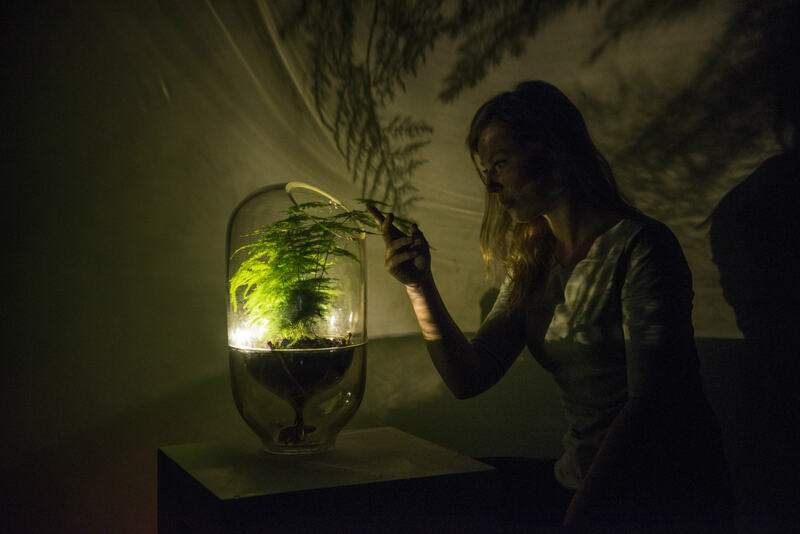 Presented at the sustainability-themed Dutch Design Week 2017, the Living Light is a marvel of futuristic design and technology; it uses microorganisms to convert the chemical energy that plants naturally produce during photosynthesis into electric currents. “I am fascinated by energy hidden in unexpected places,” creator Ermi van Oers writes in the Living Light digital book. Her aim is to “make this energy visible and to heighten the awareness of the potential power produced by nature”. With the Living Lamp, this aim has certainly been achieved. Designed to be completely self-sufficient, the lamp can function off-grid, making it perfect for up-scaling to power cities and streets without the need for intrusive building work. In March 2016, Van Oers began collaborating with Plant-e, a research group that focuses on applying and developing microbial fuel cell technology. 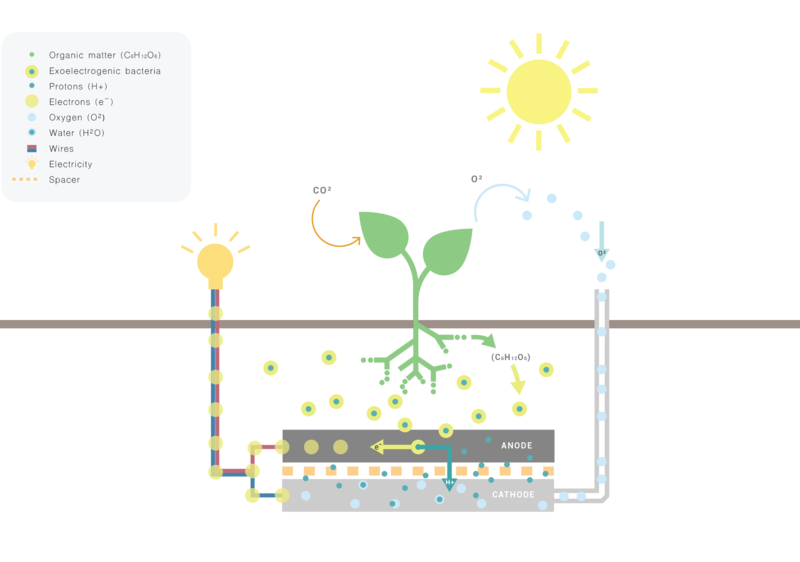 Within these fuel cells, solar energy is converted to electricity; this electric current is passed along a wire before being fed into a ring fitted with LEDs – these LEDs then light up when the plant’s leaves are touched. Based on natural processes, the Living Lamp is safe for both the plant and the environment. This new design provides us with an example of the way that we can work in partnership with our surroundings and interact with them, rather than exploiting nature for its resources. It also combines traditional craftsmanship with the latest technologies, from hand blown glass to 3D printing. “As a product,” Van Oers writes “we want [the Living Light] to not only be sustainable, but also a cherished and valued object”. 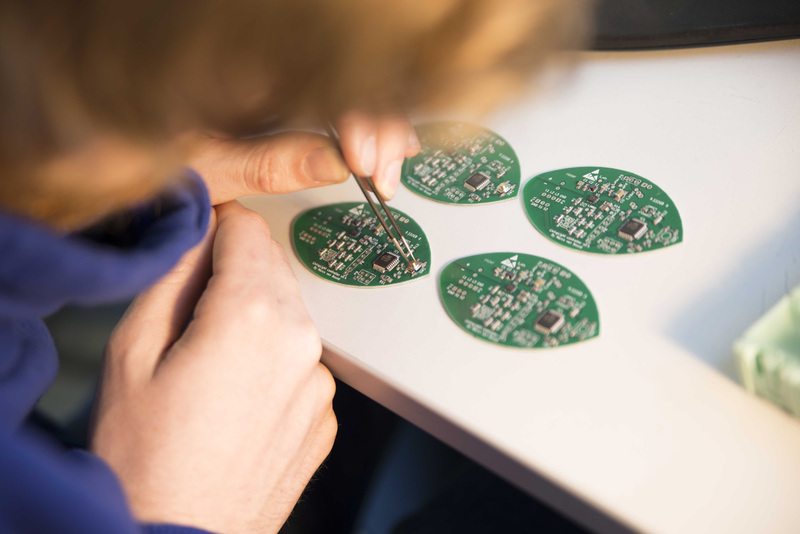 In order to continue their research and development, Van Oers and her team have taken up the name Living Energy, under which they are working on possible applications for the living-electricity in public spaces, such as parks. It is Living Energy’s hope that by moving in this direction, the cities of tomorrow will “be illuminated by renewable and sustainable forms of energy”. It is clear that the Living Lamp, whilst a unique and exciting design in itself, is only one step on a long road towards a brighter, greener future.